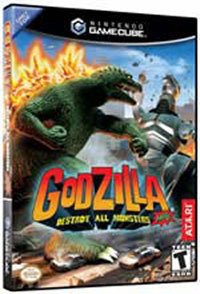 Godzilla Destroy All Monsters Melee! PLEASE!!!!!! DO NOT LINK TO ANY OF MY PICTURES AND MY MOVIES!!!! I AM WASTING MY BANDWIDTH AND IT IS DEPRIVING OTHERS OF VIEWING THIS SITE!!!!!!!!!! PLEASE ASK BEFORE YOU LINK TO THE PICTURES, I WILL E-MAIL'EM TO YOU. Thank you.